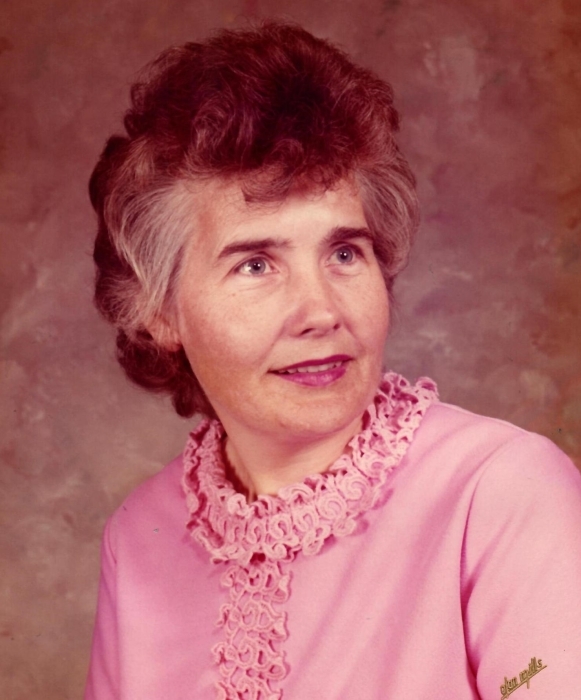 Alice Louise (Hall) Pollington, age 85 of McBain passed away at her home on Jan. 24, 2019. She was born on Sept. 14, 1933 in Falmouth, Michigan to Lyle and Francis (Alexander) Hall. Alice married Lyle Pollington on March 3, 1952 in Detroit, Michigan. Alice enjoyed gardening, traveling, dogs, chickens, cooking, and baking. She is survived by her husband; Lyle Pollington, children; Gail (Dorr) Hamilton, Janet (Leonard) Ranshaw, Harold (Connie) Pollington, Jeff (Karla) Pollington, and Ross Pollington, 79 grandchildren, great-grandchildren, and great-great grandchildren, sister; Ann Pollington, and brother in-laws; Neil Lucas, and Claude (Ruth) Pollington. She was preceded in death by her parents; Lyle and Francis, grandson; Lonnie Ranshaw, siblings; Lila (James) Kelley, Carolyn Lucas, Violet (Wilford) Minks, Parker Hall, and brother in-law Bernie Pollington.